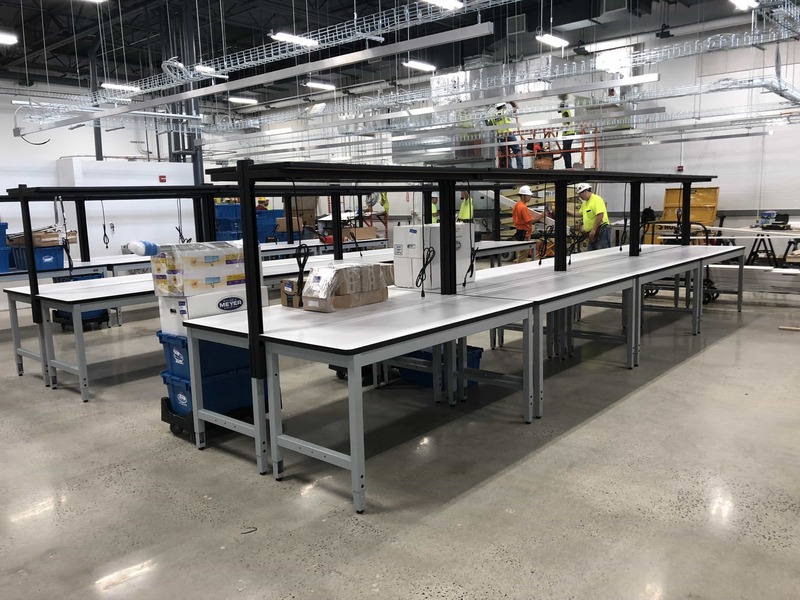 Ergonomic Workbenches add Organization and Safety | Warner Specialty Products, Inc.
Ergonomic workstations and accessories designed to accommodate specific needs for medical supply manufacturer. Twenty seven workstations were provided to maximize production and inspection spaces. Simple worktables were provided with height adjustable legs and individual under-shelf lights.